Coffee is perfect when it is perfectly roasted! During roasting, the aromatic oils of the coffee beans are released and the moisture content is reduced. 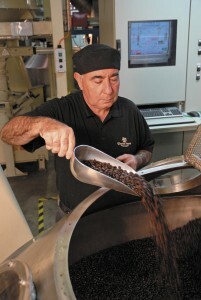 The mysterious and complex nature of roasting releases the unique flavors and aroma that are associated with coffee. 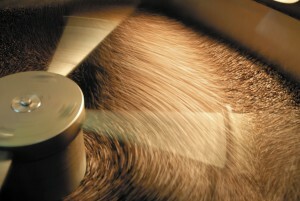 Often, coffee experts refer to the time of roasting as the “moment of truth”. As with a bottle of good wine, the roasting process creates many varieties of flavors that satisfy the different tastes of coffee drinkers. 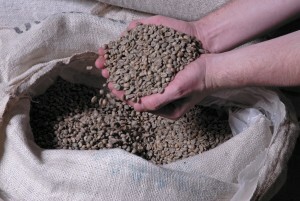 What happens to coffee beans during roasting? Loss of about 75% of its moisture and 16% -22% of its weight. The color of coffee beans turns into brown. The sugar in coffee beans caramelizes, forming an oil on the surface and inside them. This phenomenon is observed especially in the case of strongly roasted coffee. Roasting takes between 15-20 minutes, varying according to the type of frying, to the hardness of coffee beans, to their size and their moisture content etc. Typically, a 15-16 minute roasting will start at room temperature and will get to 400 degrees until it reaches the ideal temperature. Incomplete frying or roasting at a too low temperature produces a coffee variety whose flavor resembles bread or nuts. Roasting too long or at too high a temperature causes a bitter or burnt coffee. At Gloria Jean’s Coffee we fry the coffee at the optimum temperature to achieve the perfect aroma and flavor. Sipper Club Card is waiting for you! Fill in the form and you will receive the card at the specified address. Details about Terms and Conditions of Sipper Card Club. Details about EU GDPR Policy.